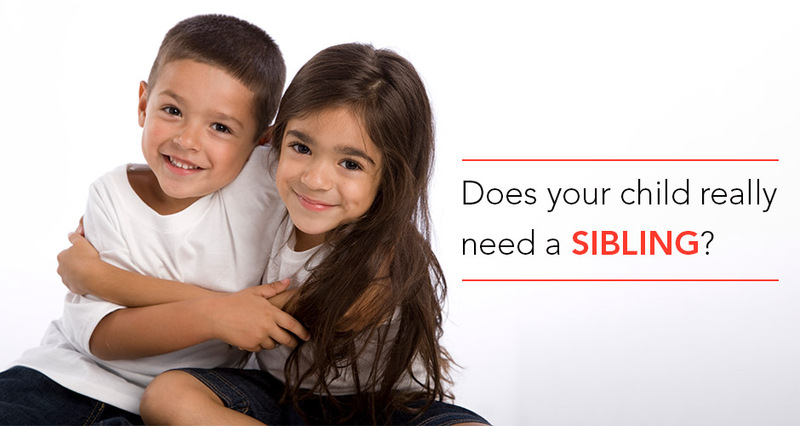 Is it necessary for your child to have a sibling? Do kids NEED siblings? Is it necessary for your child to have a sibling? As nuclear families are becoming the norm, with both parents working – more and more couples are limiting their family to just one kid. When women conceive, their career usually takes a back seat. Some quit their jobs, which sometimes puts a financial strain on the couple. When you plan to have two kids, mommies have to sacrifice their career – not once but twice. And with the rising cost of living – if you have two kids, it’s double the expenditure, which can be a huge burden on the parents. Let’s see why having one child works well! This popular saying could not be more true! Younger siblings feel really bad when they have to use books and clothes that have been previously used by their elder siblings. Jealousy is a very common feeling that can be seen in siblings. If you plan to have only one child then you don’t have to deal with episodes like, “Mummy loves you more than me”, or “Papa got you new clothes so I have to go shopping too”. The first born child inevitably enjoys everyone’s love and attention while the younger one begins to feel ignored. Sometimes younger siblings always feel they are not being treated equally as they always have to use “second hand” clothes and toys. Parents often feel stressed as they are unable to pay much attention to their both kids and this can reflect in the child’s erratic behavior. The first child may begin to throw tantrums and act out, when the new baby arrives. You may also begin to get notes from teachers saying that your child’s academic performance is suffering. You need to take care of the schooling and upbringing of two kids and that turns out to be really expensive with inflation on the rise. If you have just one kid, there is no competition or comparison that goes on between two kids. At times, it is really difficult to strike a balance between two kids. Many times, one child needs more attention than the other and that’s when your other child will feel ignored. Younger children are often neglected unknowingly and they feel unwanted. Since each child is different, there’s always a brighter one and the other one automatically begin to feel inferior. Some parents really have a hard time juggling between two kids. While it might be easier to provide the best of everything to one kid; you are definitely depriving your child the love and lifelong companionship of a sibling. Having a sibling inculcates the habit of sharing in your kid. Siblings play together, eat together and share a beautiful bond. Elder siblings become responsible and love to pamper and take care of their younger sister or brother. In the absence of parents, they have each other to talk to and share their problems. Parents can save clothes and baby products and can use them for their younger children. When the first child is born, you don’t know much about good parenting but at the time of your second child, you’re already a seasoned parent. Siblings have trouble during the younger years, but become each other’s lifelong friends and play a unique role in each other’s lives later on. Things that you learn from siblings cannot be taught by anyone else. Many factors play a crucial role in deciding how many kids one should have. These include your circumstances, career, help at home, physical health of the mother and the ability to take care of more than one kid. At the end of the day, it is completely your choice whether to have one child or more than one. And remember mommies, there is no right or wrong decision. The one that suits your family is the best one for you! !